Because of the environment and long-term focus in Keystone, Copper and Breckenridge, skiing around the area is some of the best Colorado has to offer. The national forests and resorts surrounding them offer opportunities to experience Summit County in a unique and exciting way. Between the four ski resorts located directly within Summit County and others nearby, the selection of terrain is both wide and deep. Family fun, steep skiing, freestyle terrain parks, powder bowls, tubing and regular groomers are all available for the taking. 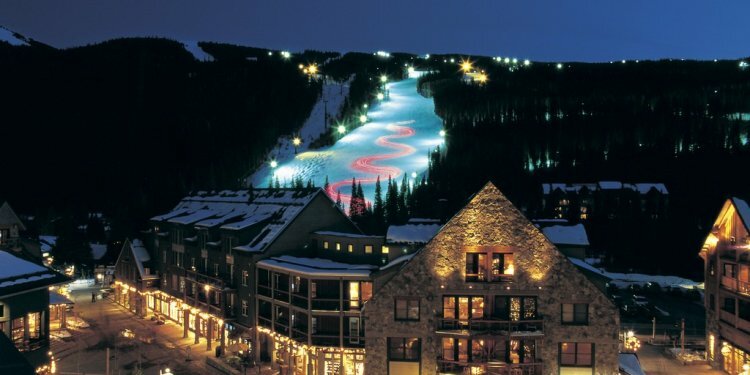 Keystone, Colorado skiing offers something different from the rest of the resorts in the area: night skiing. The lifts don't close until after sundown, so plan on spending a little extra time in the A51 Terrain Park or schussing down some Colorado ski runs. Mountains in Summit County cater to their snowboarding and freestyle skiing clientele. Breckenridge, CO skiing and snowboarding lead the pack with no less than five separate terrain parks, but Keystone skiing counters this with the massive A51 terrain park, open into the evening hours. Copper and the others invest serious energy into this sport as well. The national forests in and around Summit County offer a collection of huts and yurts to allow deep backcountry access to those willing to venture out. Snowshoeing, ski touring, or cross country skiing their way through the quiet forests and meadows, visitors get the chance to appreciate the wilder side of the area. Take a break from the downhill to experience Breckenridge, Colorado skiing as it used to be. Cross country skiing is a popular activity for many groups, whether it's the groomed trails of Frisco or Breckenridge, or the spiderweb of backcountry trails in the Arapaho and White River National Forests. Alpine touring is getting more and more popular for good reason: it's a fantastic way to enjoy a day in the mountains, as well as find some untracked powder for the group. There are well-established trails and runs in the forests of the area, simply waiting to be enjoyed. Given all the arrangements necessary to make a ski vacation fun and stress-free, consider taking advantage of a ski vacation package. These often combine great deals to pass along the savings, as well as help take care of logistics.